In today’s connected world, businesses are prime targets for cyber-attacks and unintentional missteps can result in critical exposure of consumers’ sensitive personal information. According to the 2018 Norton LifeLock Cyber Safety Insights Report, released today, from Norton LifeLock , a Symantec company, based on an online survey conducted by The Harris Poll of over 1,000 adults, shows that 4 out of 5 consumers (83 %) in the UAE are more alarmed than ever about their privacy. However, the majority accept certain risks to their online privacy out of convenience (57%) and are willing to sell or give away certain personal information, such as their location (75%) and internet search history (77%), to companies. The findings also show that consumers in the UAE are far more likely to be willing to pay to have their personal data protected than other consumers globally. According to the research findings, 88% of UAE consumers believe it is important for companies to give customers control of how their personal data is used, while over a third (35%) believe it is absolutely essential. Adequate recourse is also expected when personal information is not protected. 40% of consumers believe it is absolutely essential that companies are required to provide a way for consumers to report misuse of their personal data, or consequently be fined. The most trusted organisations in the country for managing and protecting personal information is the government with 64% trusting a lot, followed by healthcare providers at 41 % and financial institutions with 35%. Retailers and social media providers are the least trusted with 16% and 14% respectively. In contrast to other countries surveyed, UAE consumers are more willing to pay to have their personal data protected. 72% of consumers would be willing to make a payment to healthcare providers to ensure their personal information is protected and 71% said the same about financial institutions. In other countries surveyed, this willingness is significantly lower. In Germany for example, less than 3 in 10 are willing to pay healthcare providers (28%) or financial institutions (28%) to protect their personal information. Further, most consumers in the UAE are willing to pay to have retailers (66%) and social media providers (61%) protect their information, compared to only 19% and 17% respectively in the Netherlands – highlighting a large discrepancy. Over the last year alone, over 2.5 million UAE consumers – or 54% of the UAE adult population – have experienced one or more cyber-crimes. 59% of those said they have experienced the loss of at least some money. The report found that on average AED 1,568 were being lost, taking the toll to an estimated total of AED 4 billion in only 12 months. The victims have spent an average of 11.4 hours resolving the issue and one in three (36%) even had to spend more than a week to resolve it completely. In fact, 67% of consumers expect to experience cyber-crime in the next 12 months. -Never open suspicious-looking emails: Cyber criminals send fake emails or texts that may look legitimate. The links in these emails or texts contain malicious software that can download malware and spyware. The software may be able to mine your computer for personal information, which is then sent to a remote computer where the attacker could sell the information on the dark web or use the information to commit identity theft. -Own your online presence: Carefully read the terms and conditions before opening an account or downloading an application, including social media accounts. Be sure to, set the privacy and security settings on web services and devices to your comfort level for information sharing. -Get two steps ahead and manage your passwords: Switch on two-step verification or multi-factor authentication wherever offered to help prevent unauthorised access to your online accounts. Always change the default passwords to something strong and unique on your devices, services, and Wi-Fi networks. -93% of UAE consumers have taken measures to protect their information, including limiting information shared on social media, carefully reading the terms and conditions and changing default privacy setting on their devices. -More than 1 in 3 (37%) have deleted a social media account due to privacy concerns in the past 12 months. -80% of parents of minors are concerned that their child will experience identity theft due to an action their child has taken (such as shared their personal information on social media or downloaded an app that could compromise their personal information), while 73% are concerned that the same might happen owning to an action they have not taken (such as not storing documents in a secure location or not monitoring their child’s online activities) and 68% are concerned they put their child directly at risk through their own actions. To learn more about the real impact of cyber-crime and how consumers can help protect their online privacy, identity, and digital information, visit here. The post 85% of UAE residents willing to pay to protect their privacy appeared first on AMEInfo. 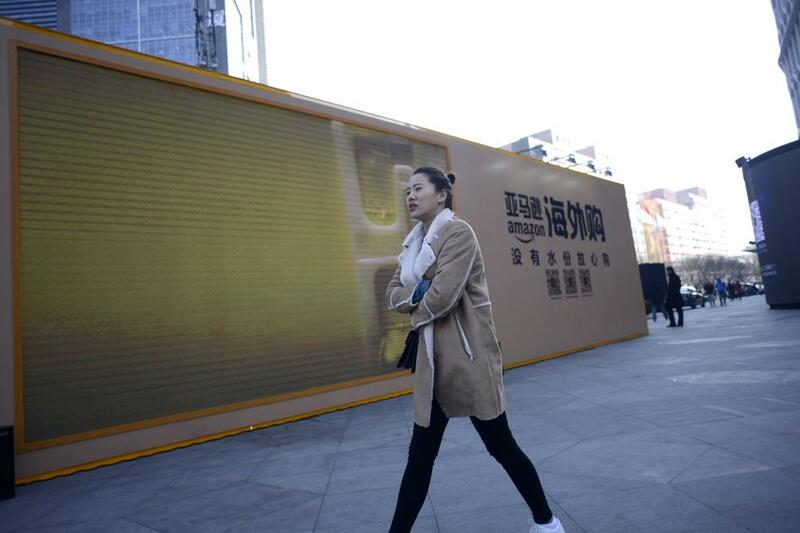 SHANGHAI: Amazon is planning to close down online retail operations catering to consumers in China, in an apparent admission of defeat to local e-commerce rivals such as Alibaba, a report said on Thursday. The US e-commerce pioneer will maintain other operations in China such as Amazon Web Services (AWS), Kindle e-books and cross-border teams that help ship goods from Chinese merchants to customers abroad, Bloomberg News said, citing unidentified people familiar with the plans. Although dominant in the United States and some other markets, Amazon has struggled to compete in China with the likes of Alibaba and JD.com, who are hugely popular in the country. This comes despite Amazon’s investment in logistics in China and its acquisition in 2004 of Chinese online book seller Joyo. An Amazon spokesperson did not explicitly confirm the pull-out plans, but said the company was looking to focus more on cross-border sales. “Over the past few years, we have been evolving our China online retail business to increasingly emphasize cross-border sales, and in return we’ve seen very strong response from Chinese customers,” the spokesperson said in a statement emailed. The company was making “operational adjustments to focus our efforts on cross-border sales in China,” the statement said. Bloomberg called the move the latest sign that Amazon, due to the difficulty competing with Chinese rivals, would focus its overseas attention on India’s growing market. With the Middle East’s first electric MotorShow closing its doors yesterday, we take a moment to look back on the automakers who took this leap of faith in bringing the region its first taste of electric vehicles (EVs) – both informatively and practically. Dropping in by Beirut, attendees were able to test drive some of the vehicles on display. AMEinfo spoke with many of the participating brands, and we found that there was a common sentiment in wanting to raise awareness about EVs. “The e-MotorShow will allow us to gauge the reaction of customers to EVs,” Serge Trad, EV Specialist at Saad & Trad SAL, Jaguar, said. For some companies, the timing of this event is even more relevant. Companies like Volvo are aiming to electrify their entire lineup by 2020, as we learned from Ziad Ammoun, Sales Consultant at GAA & CO S.A.L., Volvo. As such, the event is even more important to a company like Volvo that is in the midst of pushing an electric lineup. So how do you actually encourage consumers to buy into electric? Most of the brands AMEinfo spoke to agreed on one thing: Savings. At their current prices, EVs pose a significantly larger initial investment than fuel-based vehicles. However, Bitar explained that customers should look at the purchase as a long-term investment – 8 years into the future, for example. EVs are known for having less moving parts than gas-powered vehicles, and require significantly less maintenance. Besides maintenance, however, you have fuel savings to consider as well. “It costs you 12,000 Lebanese Pounds ($7.96) to top-up our [fully-electric] Bolt EV at home,” Chevrolet’s Aouad explained. At a rate of 199 LBP ($0.13) per kW (with government-supplied electricity at home), the savings (when charging at home) in comparison with fuel prices are astonishing. A fully charged Bolt EV will net you a whopping range of 400km, but the range shoots up to 520km once you take regenerative breaking into the equation, Aouad explained. (Regenerative braking stores the energy retained when braking in an EV’s battery to extend its range.) For the average office worker city dweller, this 520km range can likely get you through the whole month on a single charge, for a shocking $8 in an entire month. When it comes to topping up a hybrid with fuel, BMW’s Gaston Paulikevitch, Certified Sales Consultant, chimed in with a similar declaration. Paulikevitch also puts any concerns about EV performance to rest. Ted Mourad, Board Member at Bazerji Motors, GAC, told us he believes the exemption of Lebanese customs tax on fully-electric vehicles and the reduced 20% customs on hybrids will surely help bring customers aboard. Melissa R. Gemayel, Ceritifed Senior Sales Consultant at Porsche, shares this sentiment. She also noted that the positive impact on the environment will tide the public over. The savings you make and the power of EVs might seem enticing and all, but what about infrastructure in a country like Lebanon, where it is still in its early stages? While the infrastructure is slowly being put in place in Lebanon, infrastructure on the personal, private level will improve faster. Globally, many EV customers install specialized home chargers, but these are costly and not everyone has to purchase them. Most EVs come with a free charger that customers can use to plug in into an AC socket at home to charge overnight. This, however, would entail that these customers have a private parking where they can charge their vehicle. In an overpopulated country like Lebanon, a private parking is still a luxury. “Realistically, and at this current moment in time, customers who are able to charge at home are those who will be the first adopters of EVs in Lebanon,” BYD’s Bitar said. Many of the high-ticket brands seemed to believe customers in the premium sector would indeed be the first adopters. “In the [premium] segment of the [Lebanese] market, there is a demand for EVs,” Gergi El Murr, COO at Volvo, said. Most of the other brands we spoke to simply reiterated that the savings netted by the purchase and use of EVs will eventually lead to mass adoption, which would be closely followed by improved infrastructure. The post AMEinfo Exclusive: Do you know what car brands think of electric vehicles? appeared first on AMEInfo. The GCC region is experiencing a period of change. This transition is evident in the economic diversification drives taken up by countries in the region as they look to move away from oil dependency and move toward innovation and entrepreneurship to boost long-term return on investments. At the crux of change is “talent” – a key factor that has come to determine the competitiveness of cities, countries and the region. Bruno Lanvin, Executive Director of Global Indices at INSEAD, presented the key findings of the 2019 Global Talent Competitiveness Index (GTCI) report released by INSEAD Business School at an exclusive talk held at The Ritz-Carlton in Bahrain attended by senior delegates from the GFH Financial Group and Bahrain’s Economic Development Board (EDB), among others. He addressed the importance of countries creating the right conditions for attracting, retaining and growing talent – with a specific focus on how “entrepreneurship talent” and “futureproof employees” are key to navigating a volatile future. The GTCI report released by INSEAD shows a growing trend in the global talent sphere that calls for increased flexibility and the ability to adapt to the changing schisms of the business ecosystem. When talent is encouraged and nurtured, it is likely to have a direct impact on the competitiveness of economies. 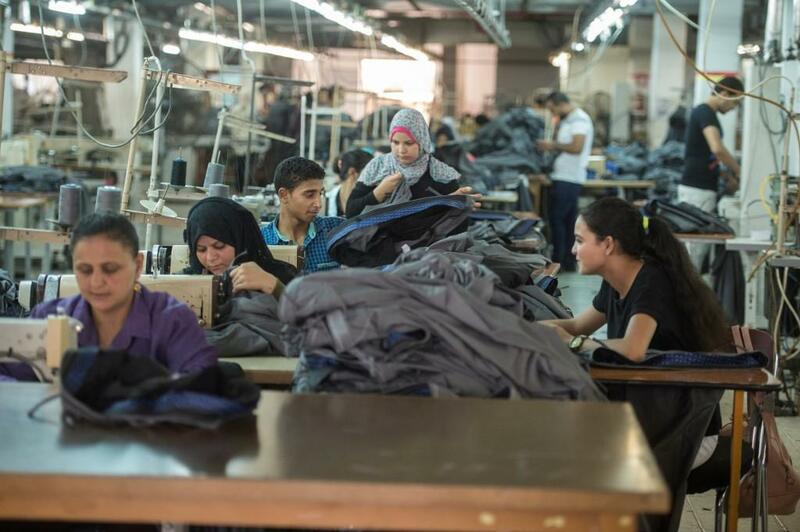 According to the report, all countries in the Middle East are below the GTCI regression line – which means that based on their GDP per capita, GCC and Middle East countries have not been doing as well as others with similar GDP per capita in areas such as ICT usage, innovation and attracting talent. “The question then arises – how do we get to the regression line? The way the world works is that you have to set yourself an ambition to say that ‘this is where I want to be in five or ten years, and based on that there is where I need my performance to be’. So getting to that regression line is almost a self-fulfilling prophecy. If people are not optimistic about the future, they’re going to put a lot of effort into, at best, optimizing the situation that is present today, but nothing more,” Bruno Lanvin said. With organizations around the globe increasingly focusing on digital transformation amid the fourth industrial revolution, there is a rising need for businesses to incorporate entrepreneurial talent who are able and willing to learn, unlearn and relearn. This year’s GTCI report has placed special importance on entrepreneurial talent – how it is being encouraged, nurtured and developed throughout the world and how this affects the relative competitiveness of different economies. The report also delves into the roles that cities, rather than countries, are playing in becoming “talent hubs”. “If you see the overall dynamics, you would see that the smaller economies are generally bigger performers, which is good news for Bahrain, and good news for the GCC in general, because this has to do with agility, nimbleness, innovation, the ability to steer your human capital towards activities that have been identified as the most promising – and small countries are better at this,” Bruno Lanvin summarized. The post Can GCC companies attract and retain the right ‘talent’? appeared first on AMEInfo. 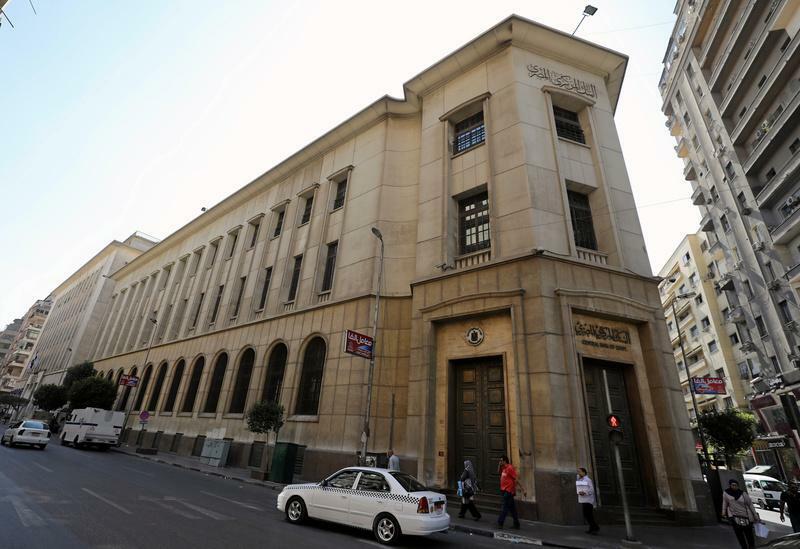 CAIRO: The head of Egypt’s Banque du Caire said on Thursday the bank was aiming to raise $300-400 million by selling a 20-30 percent stake by the end of 2019. As user application touchpoints increase in frequency, change in modalities and expand in device type, the future of app development is multiexperience, according to a recent survey by Gartner, Inc. Among enterprises that have developed and deployed at least three different types of applications (other than web apps), the most common are mobile apps (91 per cent). “These figures are higher than any other application types we asked about, and suggest that the maturity of mobile app development is necessary for expansion into other interaction modalities,” said Mr Wong. Conversational applications are the second-most widely developed type of application type at 73 per cent for voice apps and 60 per cent for chatbots, according to the survey. “This reflects the natural evolution of application functions to support the digital user journey across natural language-driven modes and devices,” said Mr Wong. Cloud-hosted artificial intelligence (AI) services are the most widely used technology to support multiexperience application development (61 per cent of respondents), followed by native iOS and Android development (48 per cent) and mobile back-end services (45 per cent). “This is consistent with the rise of conversational user interfaces, image and voice recognition and other AI services that are becoming commonplace within apps,” said Mr Wong. Contrary to the perception that mobile apps are in decline, they are in the lead for applications projected to have the most impact on business success by 2020, according to respondents. Following mobile apps are virtual reality (VR) applications and AR applications. “Although respondents indicated a high level of development activity for chatbots and voice apps, very few thought they’d have the most business impact by 2020,” said Mr Wong. The top barrier to building compelling multiexperience applications is the need for business and IT alignment, according to nearly 40 per cent of survey respondents. More than one-quarter of the respondents identified shortcomings in developer skills and user experience expertise as a barrier. “Skills gap in relation to emerging technologies cannot be overstated when discussing inhibitors to scaling digital initiatives, including multiexperience development strategy,” said Mr Wong. The post Gartner says the future of app development is multiexperience appeared first on AMEInfo. 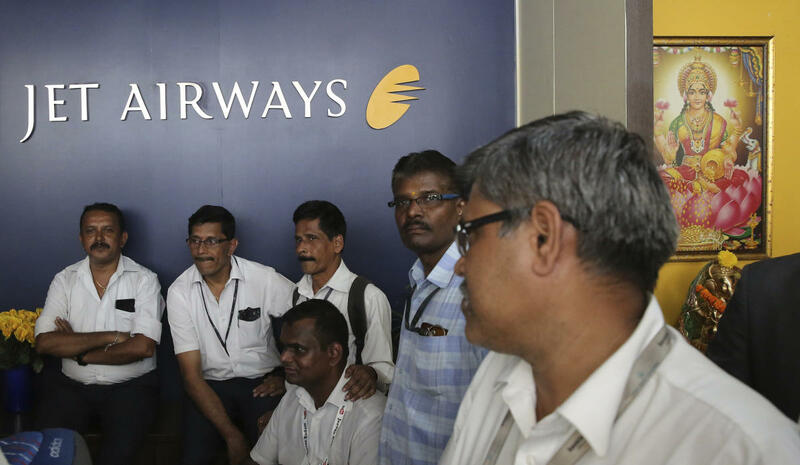 NEW DELHI: Creditors of India’s beleaguered Jet Airways say they are “reasonably hopeful” that a bidding process with potential investors for a controlling stake in the airline will save the company. The consortium of 26 lenders led by State Bank of India released the statement Thursday following cash-starved Jet Airways’ decision late Wednesday to suspend flight operations. Shares in the Mumbai-based airline, once the largest private airline in India, were down 26.9% in intraday trading on the Bombay Stock Exchange. Travel agents in New Delhi said the suspension of operations was affecting prices and availability in and outside of India. Sadhana Tours India agents say they are struggling to find seats on direct flights for customers traveling domestically and internationally, and that prices Thursday were twice as high as a week ago. TOKYO/SYDNEY: Oil prices edged higher, supported by ongoing OPEC-led supply cuts and a surprise fall in US crude inventories, although gains were capped by strong US production. Brent crude futures were at $71.71 a barrel at 0500 GMT, up 9 cents, or 0.1 percent, from their last close and not far off Wednesday’s five-month high of $72.27 a barrel. US West Texas Intermediate (WTI) crude futures were at $63.81 per barrel, up 5 cents, or 0.1 percent. US crude inventories fell by 1.4 million barrels in the week to April 12, compared with analyst expectations for an increase of 1.7 million barrels, Department of Energy (DoE) showed on Wednesday. “The fundamental backdrop for oil prices remains broadly positive amidst tighter global supply for the current term.” said Benjamin Lu, commodities analyst at Singapore-based brokerage Phillip Futures. 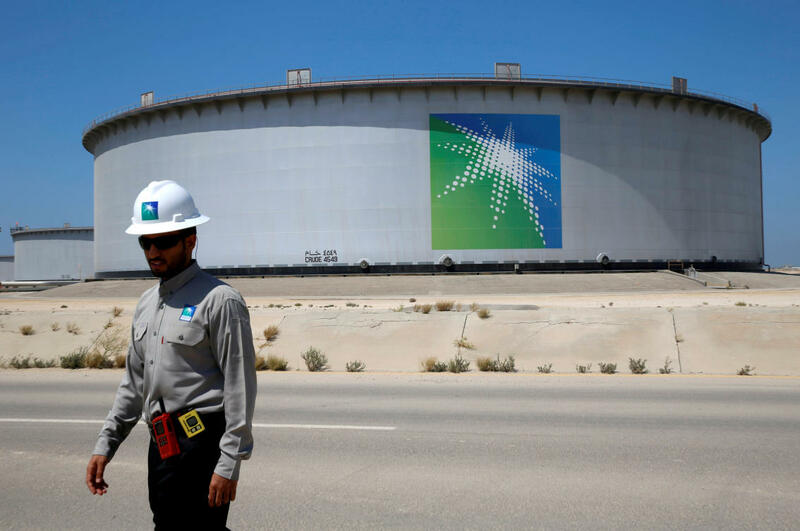 Prices have been supported this year by an agreement reached by the Organization of the Petroleum Exporting Countries (OPEC) and its allies, including Russia, to limit their oil output by 1.2 million barrels per day. Global supply has also been tightened further by US sanctions on OPEC members Venezuela and Iran. But rising US oil production and concerns over the US-China trade dispute kept gains in check. “A persistent rise in US oil output, together with lingering demand-side concerns emerging from the US-China trade dispute, is limiting price gains,” Abhishek Kumar, Head of Analytics at Interfax Energy in London. US crude oil output from seven major shale formations was expected to rise by about 80,000 bpd in May to a record 8.46 million bpd, the US Energy Information Administration said in its monthly report on Monday. Surging US production has filled some of the gap in supplies, although not all of the lost production can be immediately replaced by US shale oil due to refinery configurations. “The unexpected drawdown in US commercial crude oil stocks was balanced by lower-than-expected withdrawals in the country’s gasoline and distillate inventories,” Kumar said. transcosmos inc. will expand the coverage of “transpeech,” its speech recognition solution, and deliver two upgrades. By the end of 2019, the company will install the solution to 2,000 workstations in its contact center network across Japan, a considerable expansion of its service coverage, and will add a new emotion analysis feature. With this emotion analysis feature, clients can perform new initiatives such as preventing potential issues, visualizing selling points and more, at no extra charge. transpeech is a speech recognition solution that helps clients address the challenges they face in the contact center business. Combining transcosmos’s proven know-how in contact center operations services accumulated over the years and the speech recognition system, transpeech lets businesses solve various operational challenges and improve service quality, reduce costs, prevent risks, plus more. Since its launch in December 2018, “transpeech” has been adopted by many clients and the number of contact center workstations equipped with “transpeech” is expected to exceed as many as 2,000 by the end of FY2019. Building on this momentum, transcosmos considerably updated its speech recognition system environment which is built inside the company. With this upgrade, transcosmos has successfully installed the solution in batch processing to a large-scale contact center with over 200 workstations. In addition, the company now has the ability to connect the solution to various CRM tools at a speed faster than ever before. With a speech recognition feature that converts speech to text, clients can evaluate contact center service quality based on the text data. Now with an emotion analysis feature in place, the upgraded speech recognition system enables clients to analyze speakers’ emotions and utilize the results as a new element in assessing contact center service quality. Clients can deliver highly sophisticated initiatives by utilizing this new feature that detects speakers’ emotions and alerts. More specifically, contact center managers can prevent potential issues by following up on agents based on the detected negative customer emotions such as anxiety and anger whilst improving agents’ service performance by recognizing and handling early signs of an increase in their stress level. In addition, clients can utilize the solution for their outbound sales activities in various innovative ways. For example, by grasping customer expectations and their feelings of rejection, agents can modify and match their responses to customers emotions in real time that ultimately helps clients increase contract win rate. transcosmos continues to drive the expansion of its speech recognition services including conversation summary services and immersive virtual reality (IVR) technology whilst further enhancing “transpeech” features with the aim of solving challenges that clients face in the contact center business. The post Transcosmos upgrades “transpeech,” its speech recognition solution appeared first on AMEInfo.